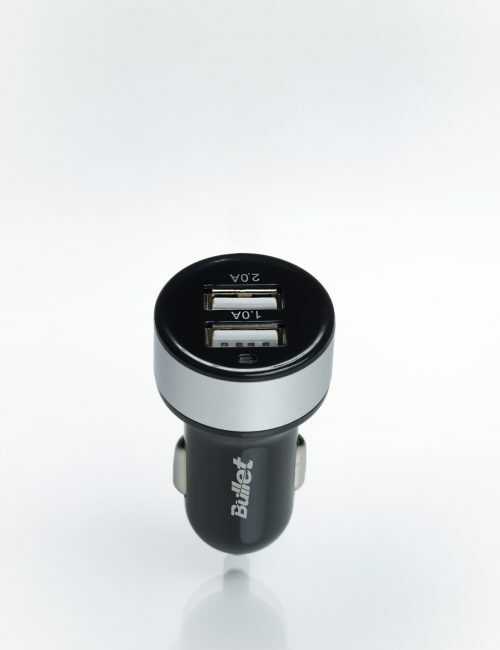 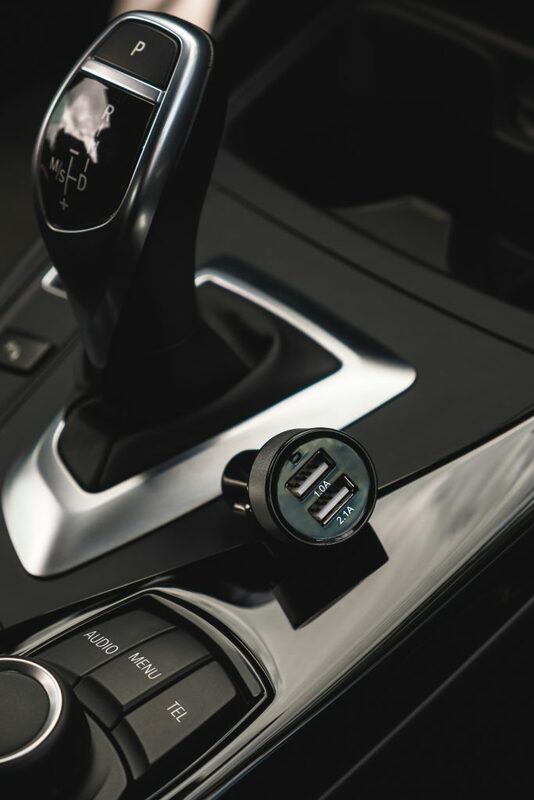 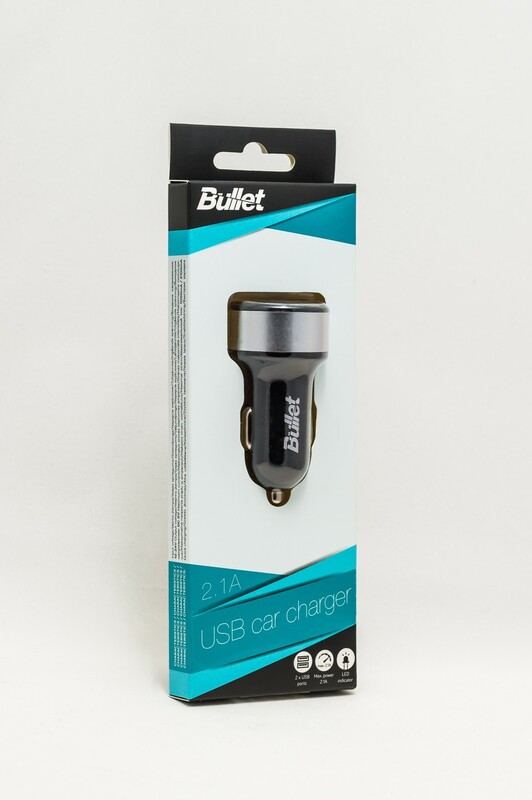 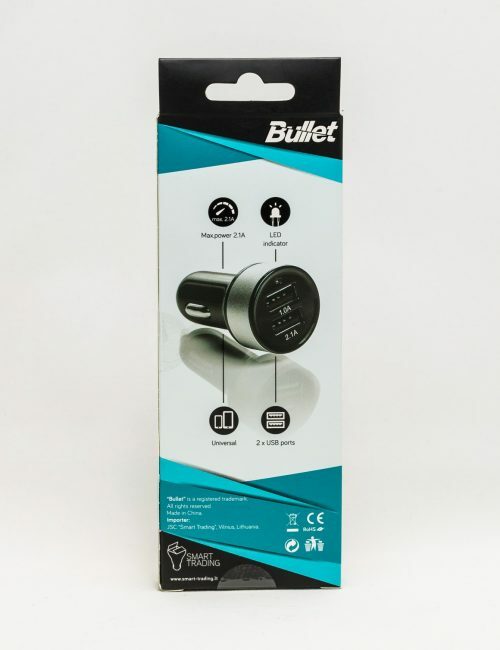 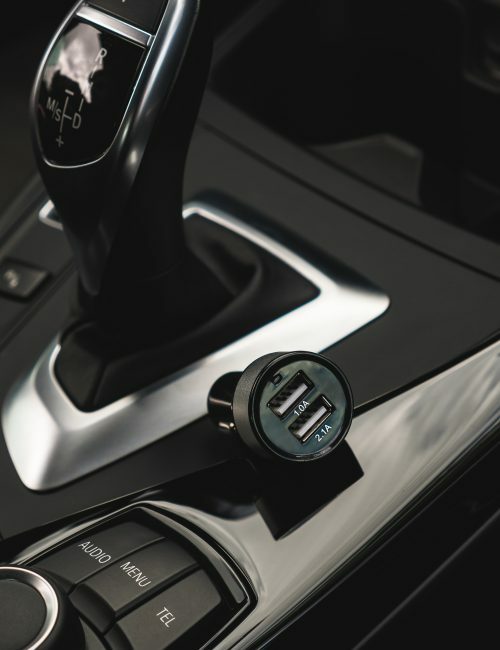 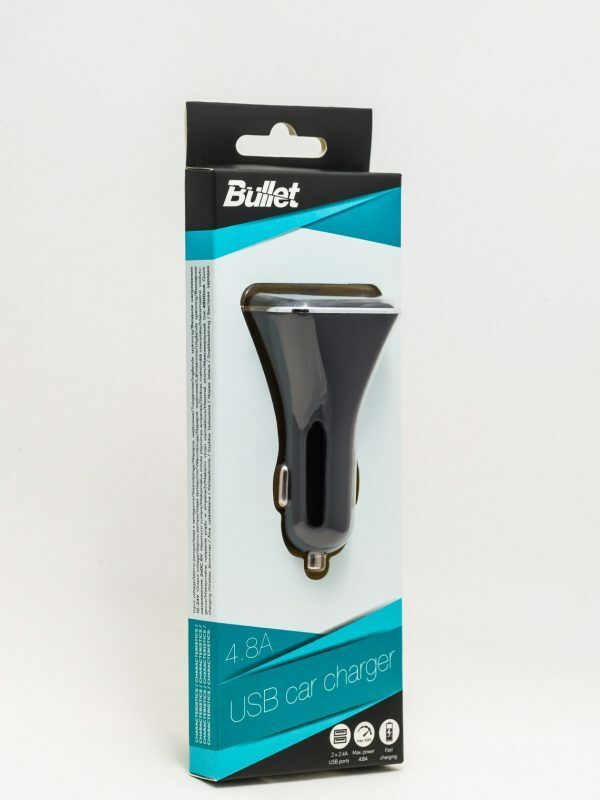 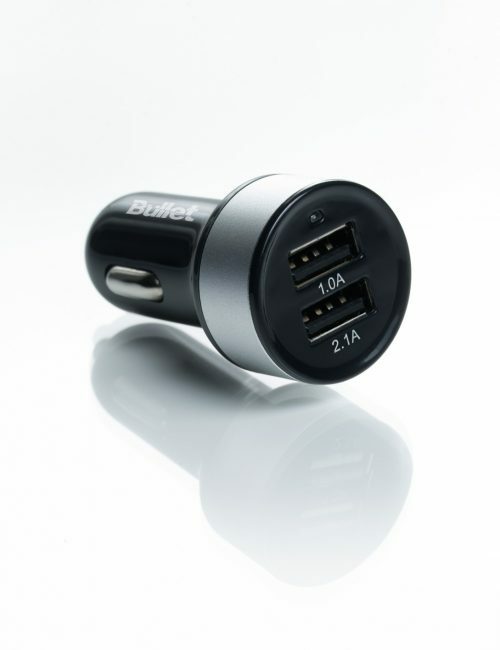 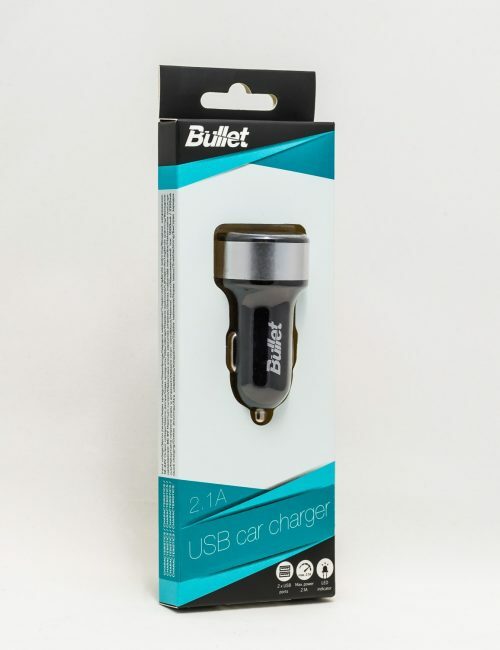 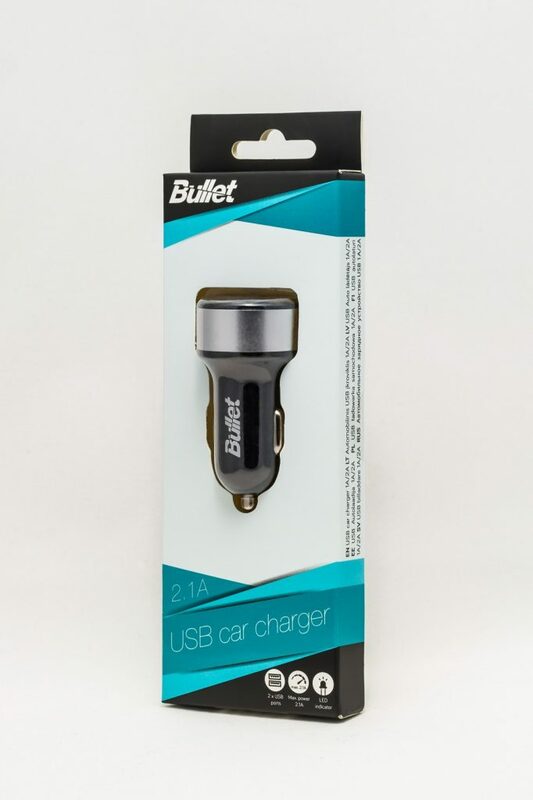 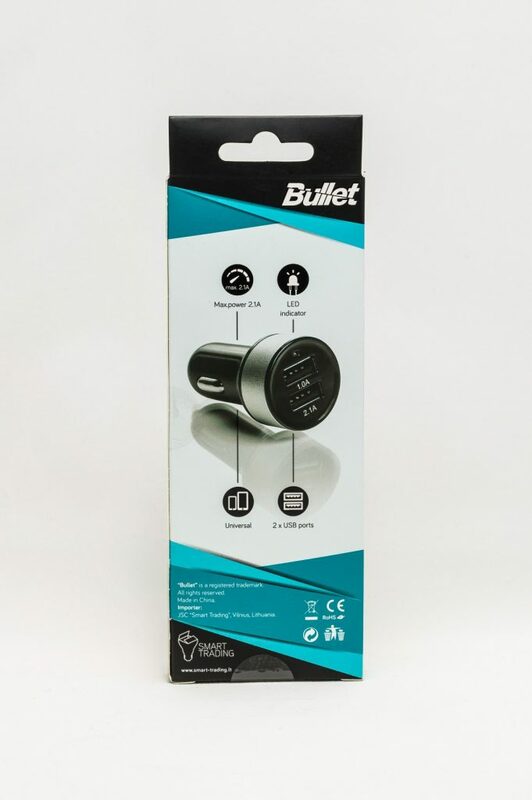 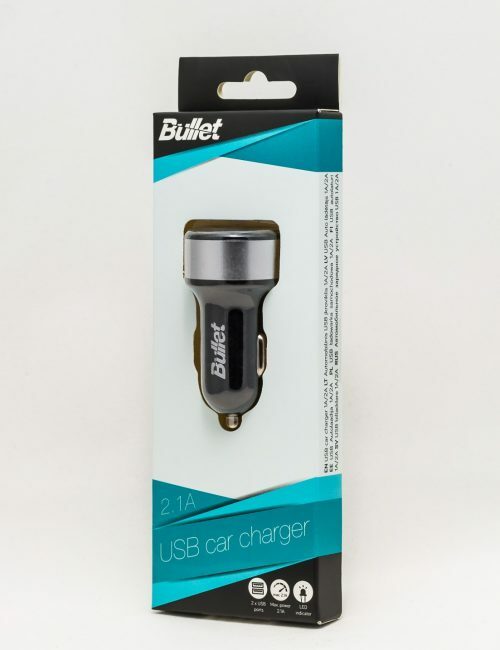 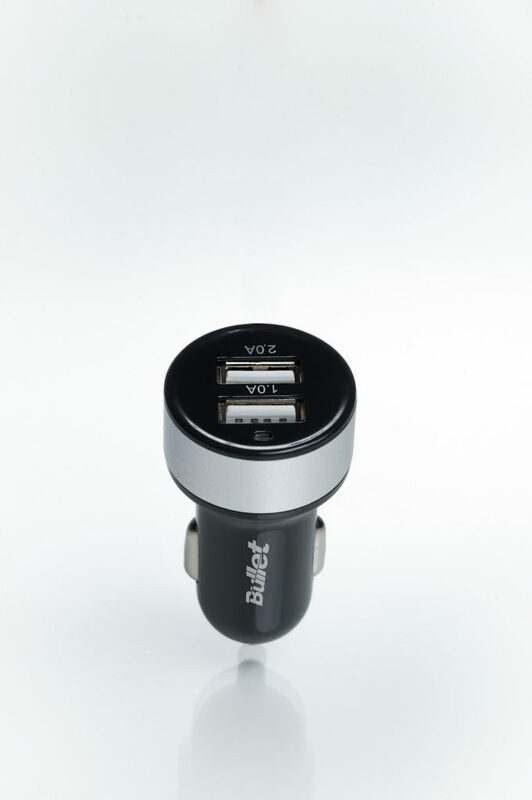 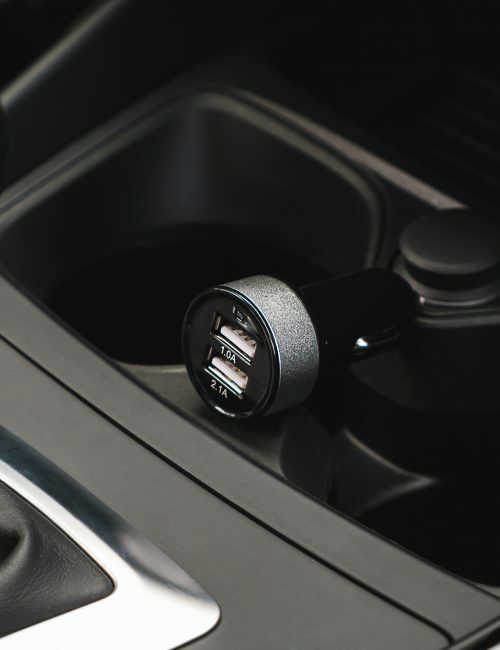 Universal car charger, with two USB slots and current of 1A and 2A, for a wide range of electronic devices such as music players, smartphones, tablet computers and navigation devices. 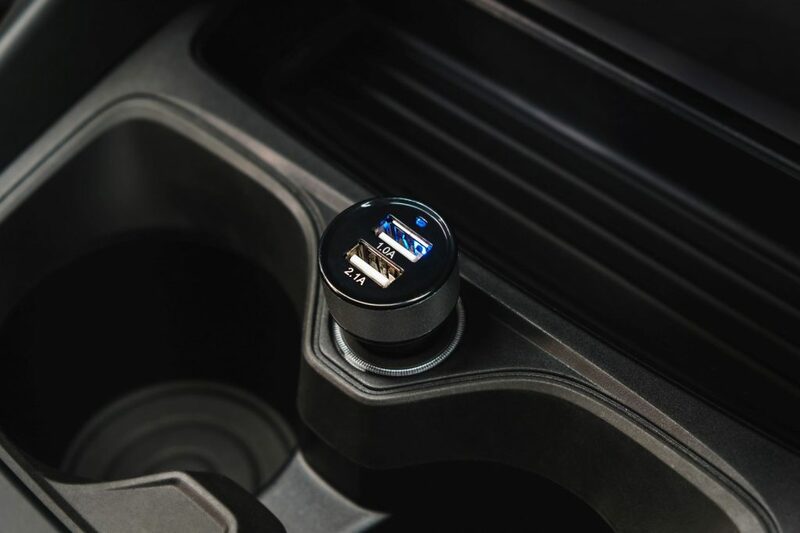 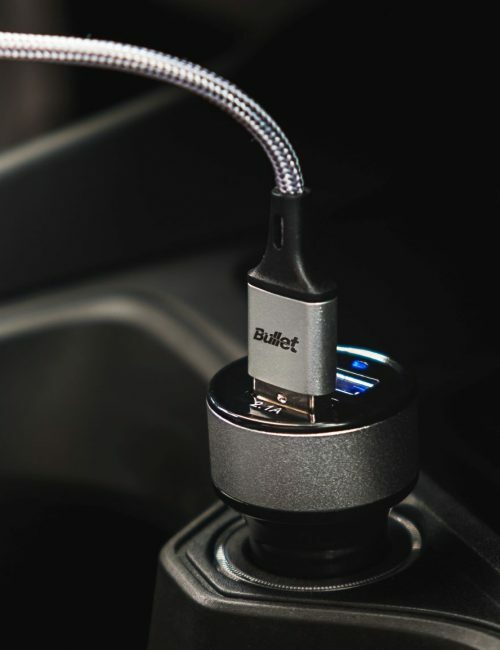 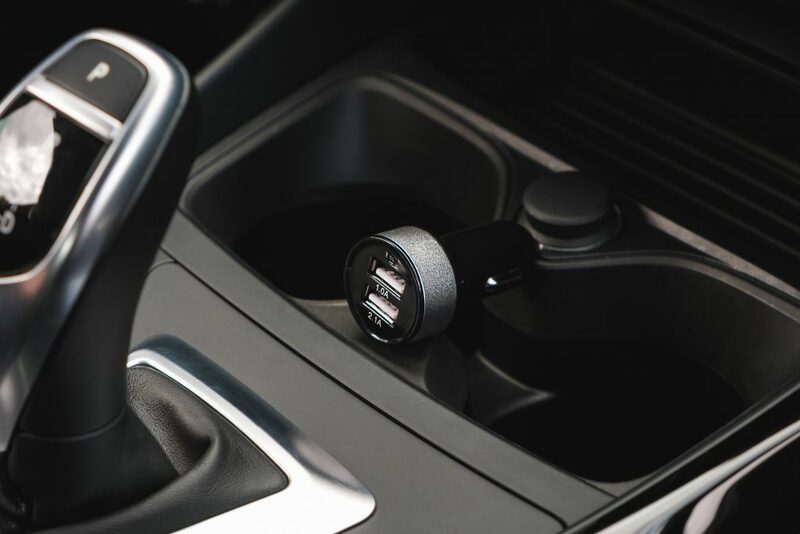 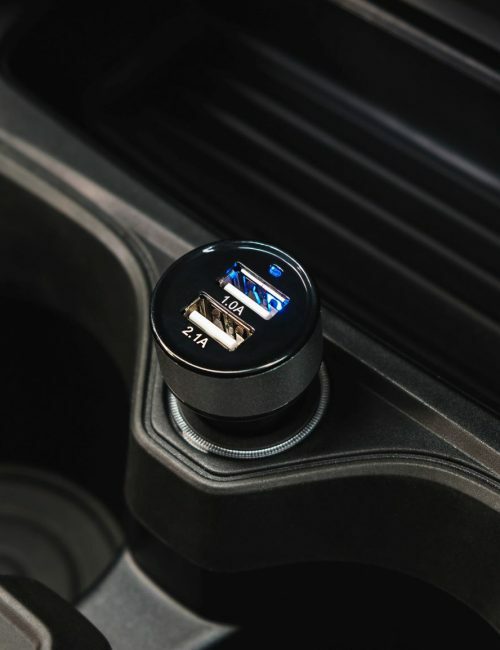 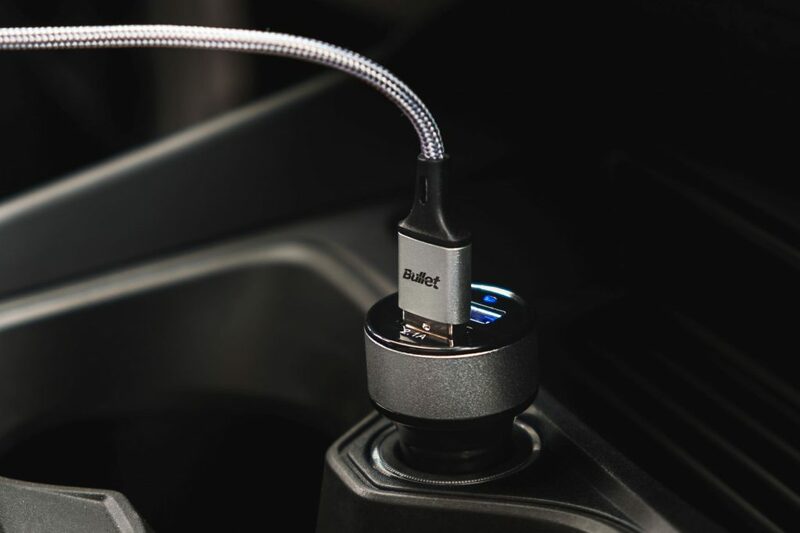 The product plugs in directly into the car lighter socket. 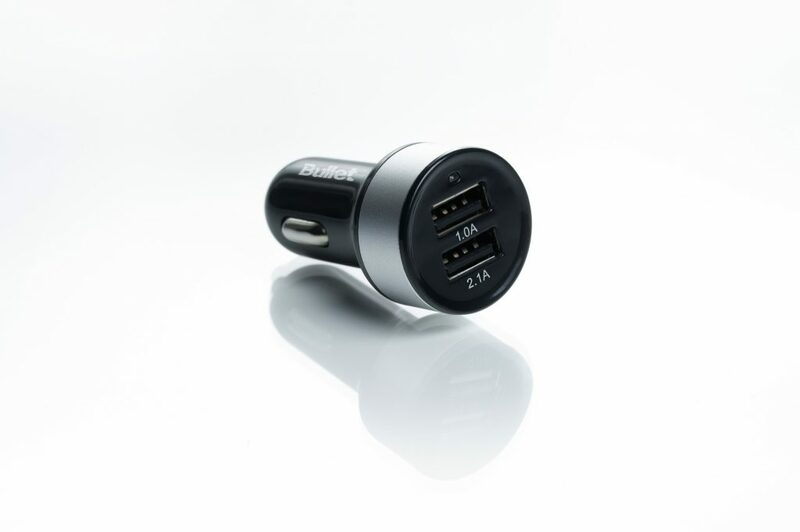 It has a LED which indicates charging status and allows two devices to be charged simultaneously. 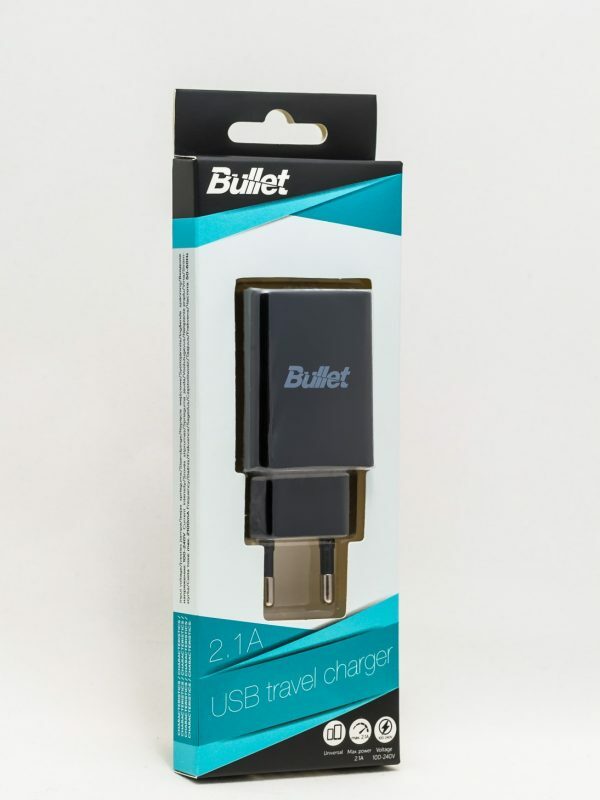 Disconnect the charger from charging cable when the device is fully charged.